At Montgomery and Associates We understand the unique risk management needs of doctors. Whether you’re still finishing residency or are a successful partner in a fast-growing practice, Risk Management services for Doctors provide multiple options to help you manage your personal and professional exposures. Montgomery and Associates understands that in today’s world of constant connectivity the risks that our customers experience are not always clear cut and visible. 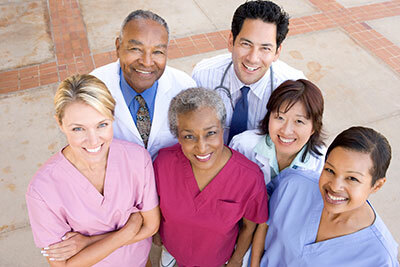 Doctors have unique and complex insurance needs that require professional consultation and customized solutions. If an unfortunate tragedy occurs, you want to rest assured that your lifestyle and assets are properly protected and restored to maintain your accustomed way of life. As your Private Client Specialist, we design and implement solutions that will protect your complex and unique lifestyle. Our customers who are Doctors have peace of mind knowing that what matters most to them is protected by us. – Coverage for customized homes, secondary homes, investment properties and coastal properties. – Net worth protection against claims for bodily injury, personal injury or property damage. Montgomery and Associates is committed to providing personal service and educating clients on the many facets of their personal risk and coverage. Clients can also enjoy the convenience of having all of the insurance needs met in Montgomery and Associates with our partner carriers.